Dr. Jackson joined the Department of Art and Art History at The University of New Mexico in 2010, following her time at Otis College for Art and Design. Currently, Dr. Jackson holds the position of vice president for the Latin American and Iberian Institute’s Executive Committee. Receiving her doctorate in Pre-Columbian Art History, she is a scholar of art and visual communication in the ancient Americas. Dr. Jackson offers a variety of classes for undergraduate and graduate students. She has conducted field research in Peru focused on ceramic production at the site of Cerro Mayal in the Chicama Valley, and the Huaca de La Luna at Moche. 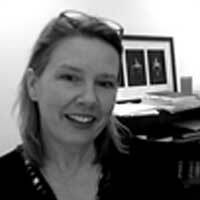 Her research interests include the visual cultures of ancient Mesoamerica and studies of notation and visual literacy.